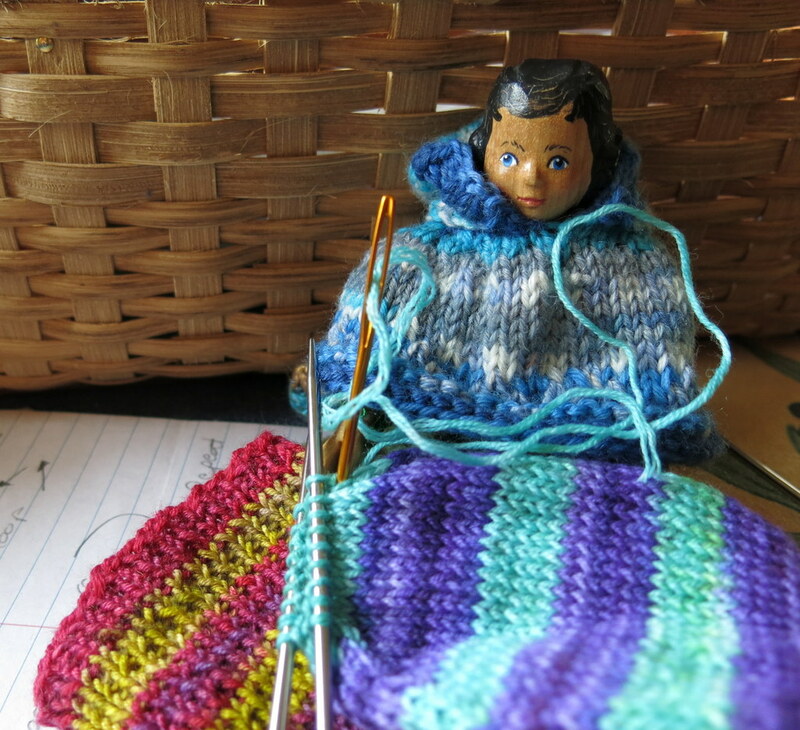 …today she is stitching up the toe of sock #1…. 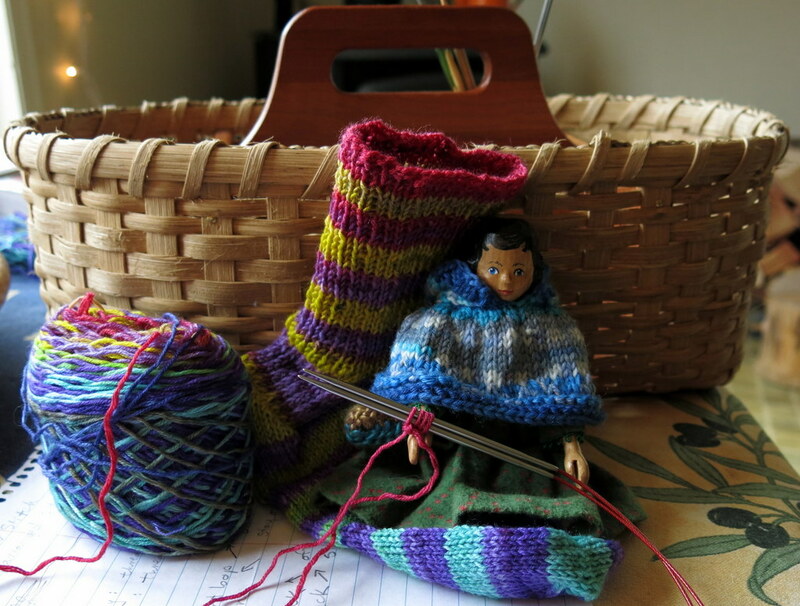 …and casting on sock #2! 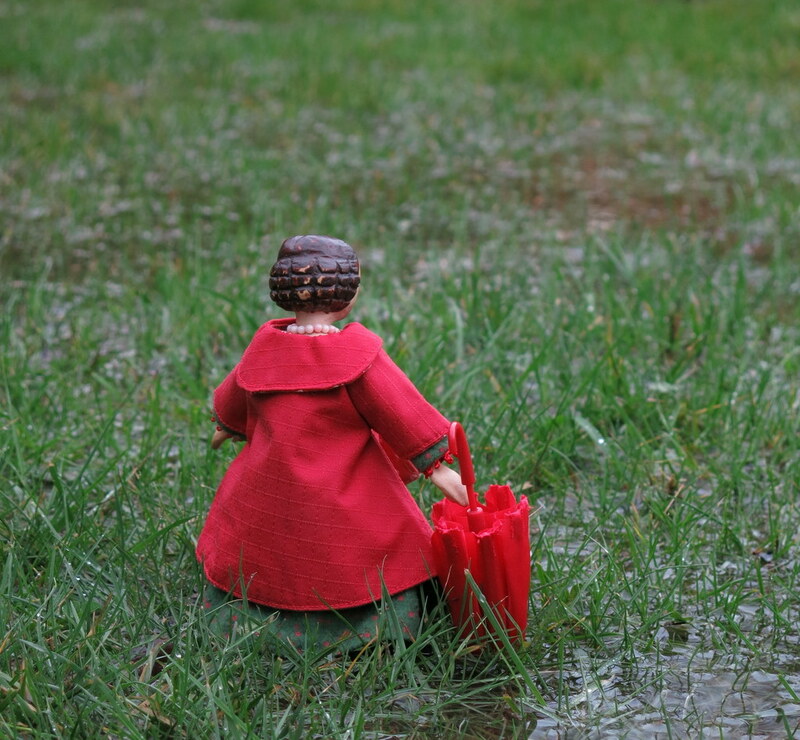 Yet another heavy rainfall warning here today…Rose thinks it is a good day to stay indoors and knit! Constance is taking a shortened walk. Rose knits socks like no other hitty. Love the color combination of her hooded poncho…soft blues, grays and white. Just beautiful…She looks so warm and snuggly. I know what too much rain feels like. Our year end normal is 46 inches – we topped 73 inches. Crossing our fingers for some dry months this year. We had about 45 mm of torrential rain all in the same day! Constance’s walk was quite short,,,but Rose’s sock is quite long! what wonderful socks!! Someone is going to be sooo happy! Rose is a wonder! And Constance looks like she might have to wade home. Love her raincoat! 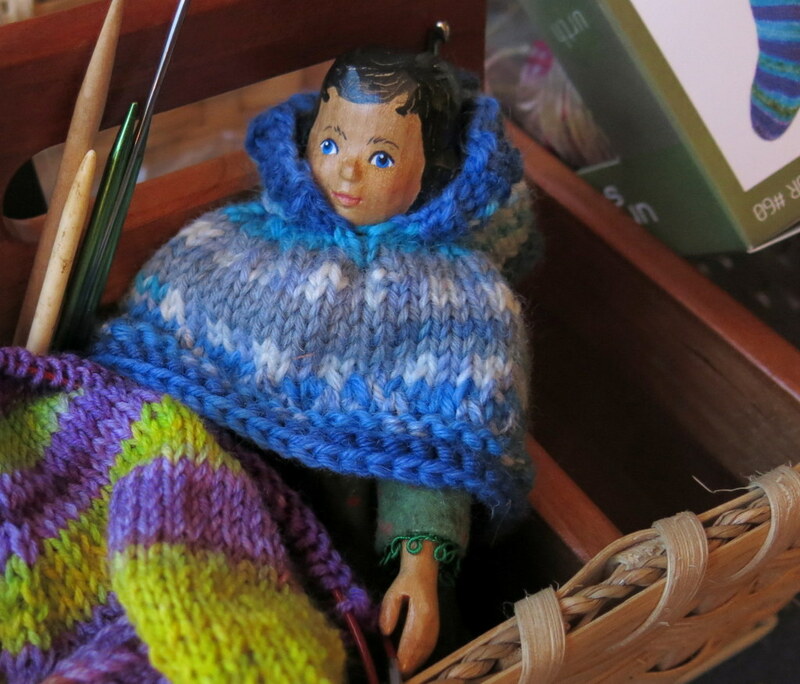 The socks are very cheerfully coloured, and Rose is really enjoying knitting them in this dark, damp, foul weather. Constance is considering alternate methods of exercise and transport.